‘I really hate my crooked teeth!’…Sound familiar? Do you hate your uneven teeth or feel self-conscious about your smile? Do you cringe every time a camera is pointed at you? Never want to take a selfie? Do you try and hide your wonky teeth behind your hand when you talk, smile or laugh because you’re embarrassed about how they look? Don’t worry…you’re not alone. Every day we see lots of people who tell us they’re desperate for a straighter smile or how much they regret not having braces in their teens. The most rewarding part of what we do is seeing the incredible and lasting results we can achieve by straightening your teeth and improving your smile using one of our fast straight teeth methods. There’s no doubt that having straighter teeth can make a huge difference to your life… and did you know that straighter teeth are healthier teeth. They are also, without doubt,one of the best things you can have in helping you boost your self-confidence. Thankfully, it’s never too late to take action. More and more people are now aware of the fact that they can straighten their teeth in super fast time with invisible braces. We can offer some amazing clear brace systems that are almost invisible to others so you can straighten your teeth without anyone knowing. So you CAN get great results without feeling you have to broadcast it to the world. If you want straighter teeth with the minimum amount of treatment time, the Inman Aligner may be the right choice for you. It’s a cost-effective removable orthodontic aligner that will straighten your teeth in a fraction of the time needed for other systems, at a fraction of the cost. Although the Inman Aligner may not be suitable for complex orthodontic cases, it delivers outstanding results if you have crooked, gappy or protruding front teeth. 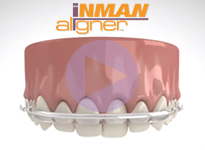 The Inman Aligner works by applying a gentle but constant pressure to your teeth to move them into their final, straighter position. Six Month Smiles is one of the leading ‘invisible’ teeth straightening solutions for adults. Using low force through clear brackets and tooth coloured wires, this invisible brace system concentrates on moving the teeth you can see when you smile to give you straight teeth in as little as six months. This invisible brace system has been designed with busy adults in mind. We understand that you don’t want metal braces on your teeth for two or more years, especially if you’re working with the public. Six Month Smiles is discreet, comfortable and more affordable than most traditional brace solutions. Fast treatment times – six months is typical. More affordable than traditional brace solutions. Discreet ‘invisible’ brackets and tooth coloured wires mean people will barely be able to see your braces. Low forces on your teeth increases comfort and safety. Why choose Invisalign® Go ? Invisalign® treats a wide range of teeth straightening issues, ranging from minor tooth movements to more complex cases. Whatever the issue, the result is a new, more even smile that you will want everyone to see. The best way to find out whether you’re a suitable candidate for fast teeth straightening with the Inman Aligner, Six Month Smiles or Invisalign® Go is to come in for a FREE consultation with our friendly, experienced Smile Adviser. She can discuss your individual requirements with you before advising on your best treatment options. 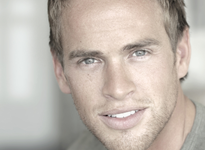 To book your free teeth straightening consultation today, simply call us on 01772 253 443. Do you wish your teeth could be straighter?